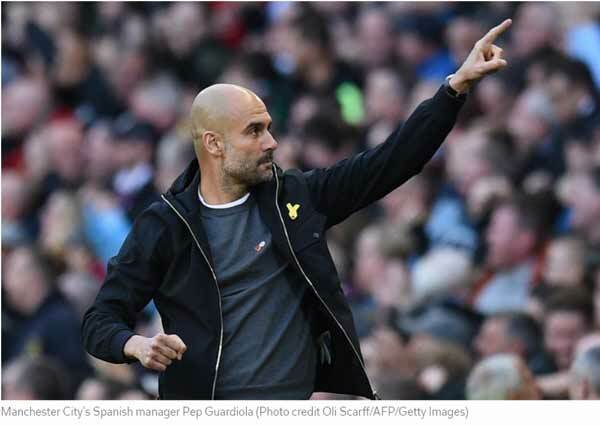 The recent publication of Manchester City’s annual report for 2016/17 gives us a glimpse of how much faith the owners have in Coach Pep Guardiola to deliver Premier League and Champions League glory. It appears that almost all of the money was plowed back into improving the squad by signing a fresh influx of talent and improving the contracts of selected players. The financial report did note that the 2016/17 statements were for 13 months but a one-month addition only accounts for about 9% of the new spending. Year over year, Manchester City spent an additional $88M on staff (+33%), Amortization of player contracts $37M (30%) and external charges $23M (+23%). These three expense areas alone account for $148M in added expense, the other additional costs of $6M can be attributed to a wide assortment of costs. Amortization of player contracts is the cost assigned to each annual statement based on transfer fees paid by Manchester City to other teams divided by the number of years remaining on these players’ contracts. External charges are believed to be Manchester City’s share of central costs incurred by the entity that also owns or partly owns Melbourne City F.C (Australia), New York City F.C. (US), Yokohama F. Marinos (Japan), Club Atlético Torque (Uruguay), Girona (Spain). The increase in Turnover was not uniform although Matchday revenue remained about the same as the year before ($68.5M 16/17 and $69.3M 15/16). Manchester City benefited, like other Premier League teams, from a new broadcast deal that increased revenue from $132.1M to $205.4M. Counter to that was a reduction in prize money from the Champions League that dropped from $80.8M to $63.2M. A big win for City was an increase in commercial revenue from $234.7M to $287.8M. This was explained as being generated by hosting concerts at Etihad while some reports stated that the sleeve sponsorship agreed with Nexen Tires had helped boost commercial revenue. That explanation rings a bit hollow as sleeve sponsorships have only been introduced for the 2017/18 season and revenue should not have impacted the 16/17 year. The small profit of $1.3M means that Manchester City has now recorded three straight years of profits totaling $41M. However, it should be noted that without profits from the sale of players the cumulative profit would have turned into a loss of $50M. Like many other teams in Europe, the difference between an annual profit and a loss is down to whether or not players can be unloaded at a value greater than that being carried on the books. Although Manchester City has achieved a level of financial sustainability it required a huge level of investment that was written off by the Abu Dhabi United Group along the way. From the purchase, in the summer of 2008 through to the end of the 2013/14 year, Manchester City recorded a cumulative loss of over $770M on revenues of $1.6B. The nadir was in 2010/11 when the team incurred a loss of $260M. Manchester City showed no signs of letting up during the summer transfer window. The new arrivals on average were more than two years younger than those shown the door. Purchases totaled $330M although the amortization cost will start to show on the 2017/18 financial statements. $127M of the $330M outlay was recouped through the sale of players. Not all of the fees received will be recorded as a profit on the sale of players but a significant portion should – at least enough of it to compensate for a bump amortization costs. A recent analysis by CIES Football Observatory estimated the combined transfer value of the Manchester City squad at $1.4B which would make it the most valuable in world soccer. Individually Kevin De Bruyne was valued at $170M with Leroy Sane, Raheem Sterling and Gabriel Jesus all valued at more than $120M. Only two players have contracts expiring at the end of this season. There is a strong possibility that Ya Ya Toure will sign for sister club New York City FC. Defensive midfielder Fernandinho is expected to be offered a new deal although it may be for just one year with Manchester City holding an option of a renewal. In May 2017 Forbes valued Manchester City at $2.08B – an 8% increase on the year before.